Many years ago, my mother purchased a refrigerator. When the installation was complete, the delivery guy asked if she wanted to purchase a maintenance contract. My mother asked what that provided and was told that once a year, they pull the refrigerator out, vacuum the bottom and make sure the coils are free of any blockage. It sounded simple enough, so she declined the maintenance contract but made this part of her spring cleaning ritual. It didn’t occur to her before this conversation that appliance motors need to be clear of dust and pet hair. Even now, when our customers and friends ask us to replace their refrigerator “right now because it’s dying”, we tell them to vacuum the bottom of the fridge to give them (and us!) a bit of time. This usually works and then they can wait a while to replace their fridge. Dirt, pet hair, and dust particles can build up beneath and behind the refrigerator near where most motors are located. This can block the appliance’s motor and coils and restrict airflow so it’s worth it to perform this spring cleaning ritual. A garbage disposal can be freshened up quickly by pouring a cup of white vinegar down the drain and, after an hour, flushing it with hot water. Another popular way to clean a disposal is with ice, rock salt and cold water. Don’t forget to wipe down the undersides of the disposal flaps. With whatever cleaning method you choose, when you are done, put a handful of citrus peels into your garbage disposal, run the cold water and turn on the disposal. 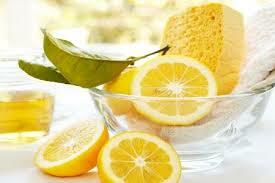 The citric acid will help deodorize the disposer and leave your kitchen smelling fresh. Sanitizing the dishwasher is also a spring-cleaning chore that can be done quickly. By running a cycle with white vinegar, you can eliminate mold, fungi and bacteria. The “sanitize” cycle is a more common feature of dishwashers these days but make sure to wipe around the edges of the door, around the gasket and check the drainage area as well. With three quick spring cleaning tips for your kitchen appliances, you can knock out that spring cleaning list faster and welcome spring even sooner!